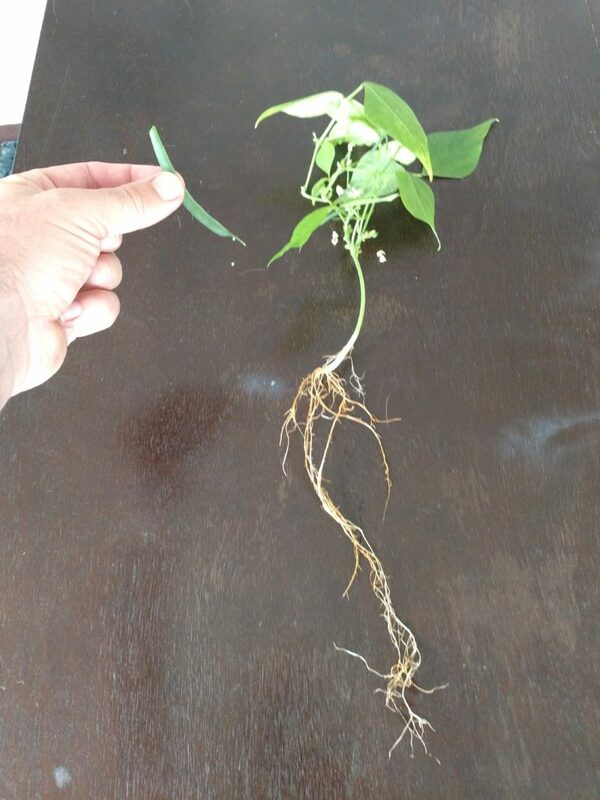 The Hootie 1.0 Indoor Aquaponic System was able to grow a string bean with only about 100 grams of ornamental goldfish powering the train. This string bean was just a test to see if we could grow a decent fruiting vegetable with this 29-gallon system. 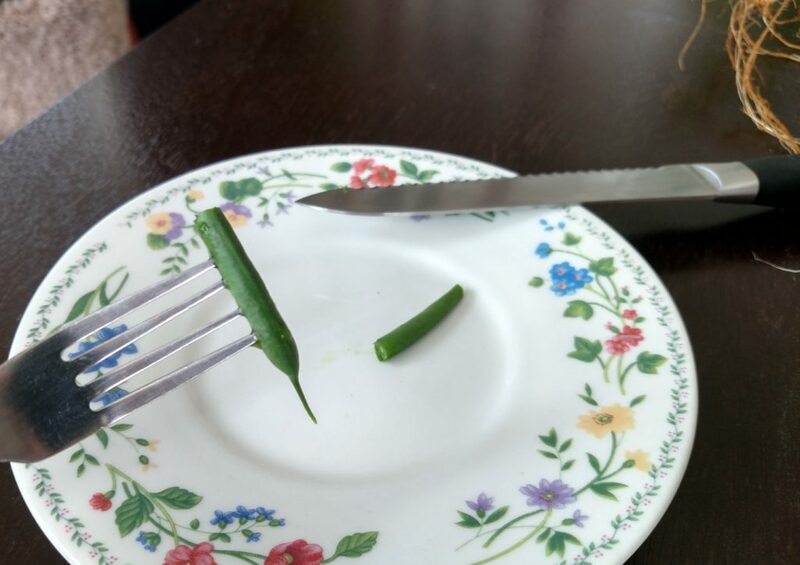 (Fruiting plants like string beans require more nutrients and are generally harder to grow well). Ultimately, this system is best suited to grow seven or eight quick-growing herbs and lettuces at a time because of the small-ish fish tank and wide media growbed. We were happy to see that – despite its diminutive size – it was a crunchy and tasty little bean! The Hootie 2.0 Indoor Aquaponic System is equipped with lighting and improved water circulation. Once that system gets to decent fish capacity maybe we’ll try another fruiting veggie… any requests? 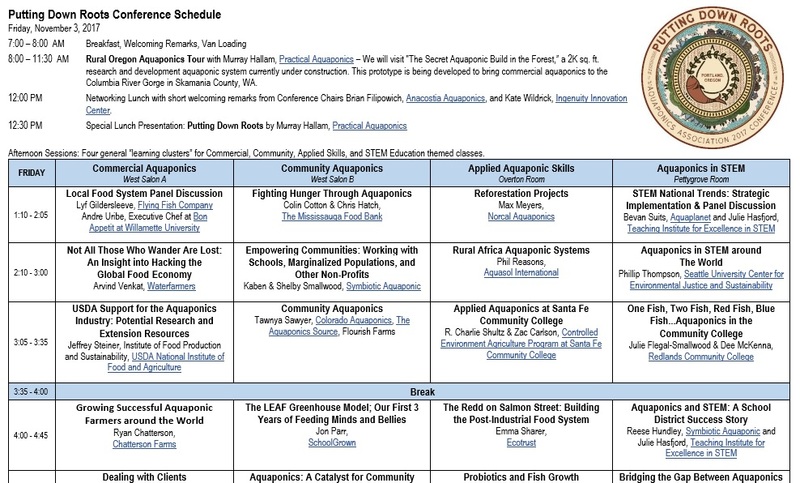 Check out the Putting Down Roots Schedule, for the 2017 National Aquaponics Association Conference. Here swim tilapia in the Bertie Backus Urban Food Hub aquaponic system in Northeast Washington, DC. 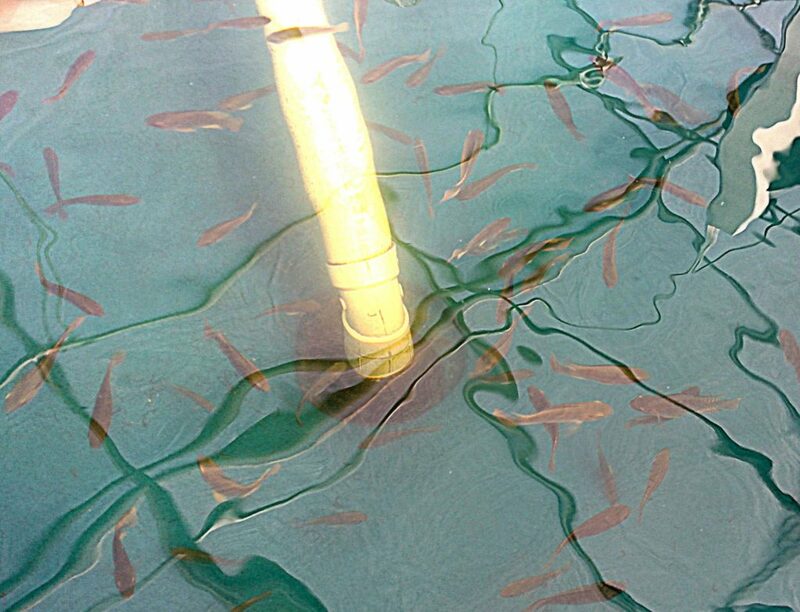 These tilapia are about 6 inches long and reside in one of the six 650-gallon tanks at the Backus system. The water is very clear due to the use of a 100 micron “drum filter” and 50 micron “tank filter”. Bertie Backus is one of four Urban Food Hubs constructed and operated by the University of the District of Columbia. UDC also operates aquaponic systems at the Van Ness, P.R. 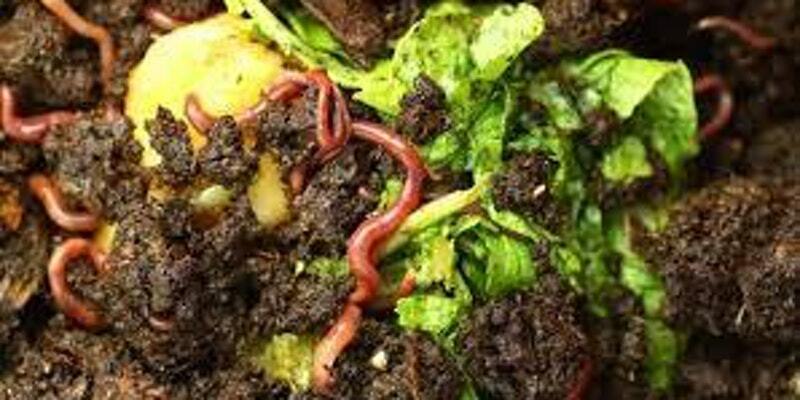 Harris College, and East Capitol Urban Farm food hubs. The Van Ness aquaponic system was started earliest of the four. We first stocked fish in April, 2017. 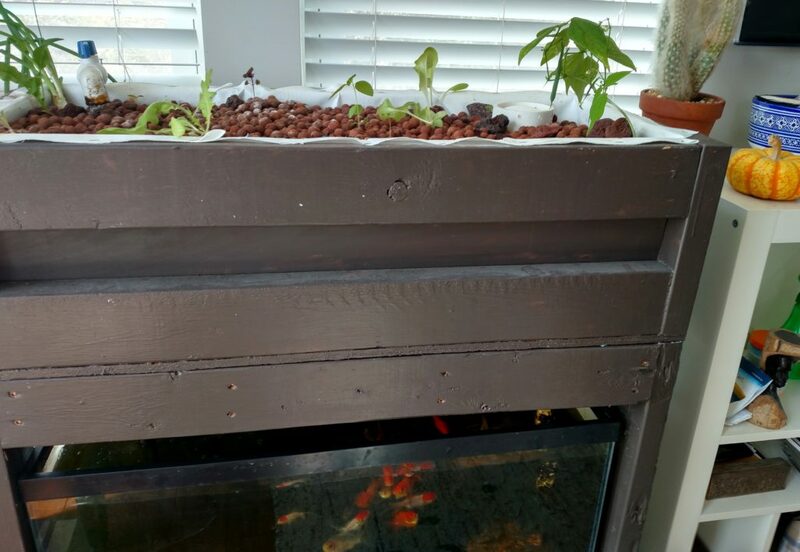 It’s been successfully growing basil, lettuces, and tomatoes with fish food as the ONLY nutritional input for about 6 months now. After working out initial kinks, water quality parameters are consistently excellent and the fish grow about an inch per month. 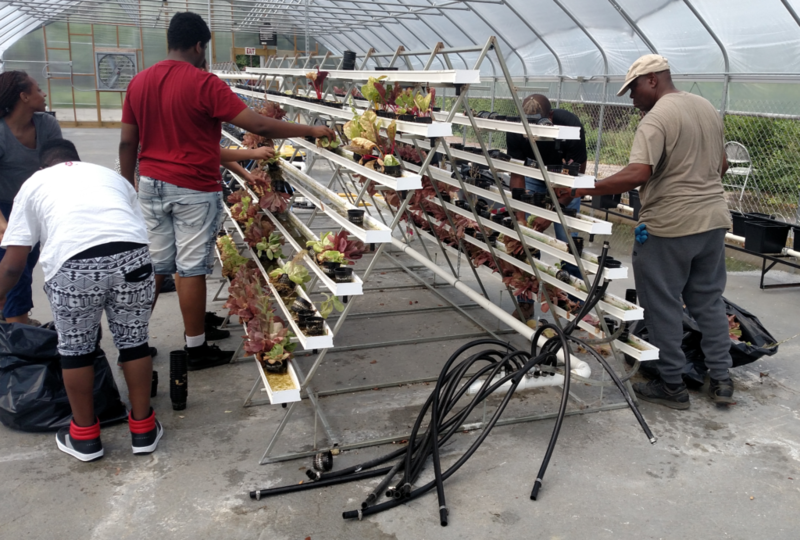 Anacostia Aquaponics worked with UDC during the initiation process of these systems from March through September, 2017. It was a great learning experience. 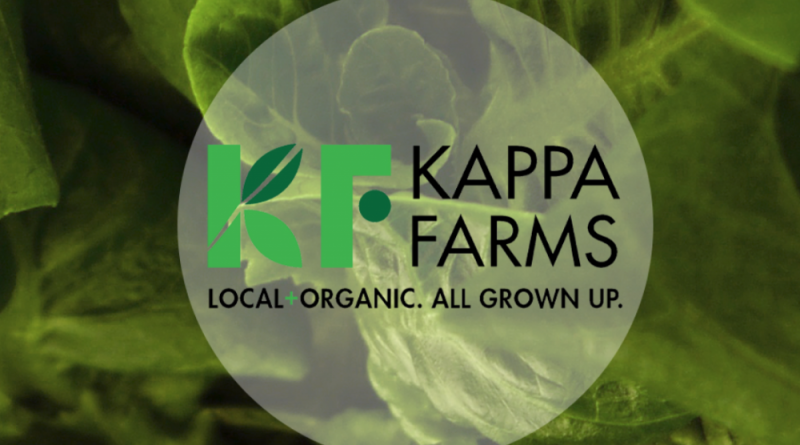 With appropriate management and resources, UDC’s Urban Food Hub aquaponic systems should continually improve and grow lots of fresh, healthy food for Washington, DC residents. We had a great discussion at Iona Senior Services this week about aquaponics and our new Hootie 2.0 Aquaponic System. The Hootie 2.0 has been running for a few months and has been growing lots of parsely and watercress (startin’ easy, ya know?) This week we added 4 bigger goldfish so it’s time to graduate to basil and some denser greens, ahhh milestones…. The fish all have names, the parsely is used in group meals, and the residents enjoy feeding the fish. We’re going to work with the chef to figure out how to use the watercress. 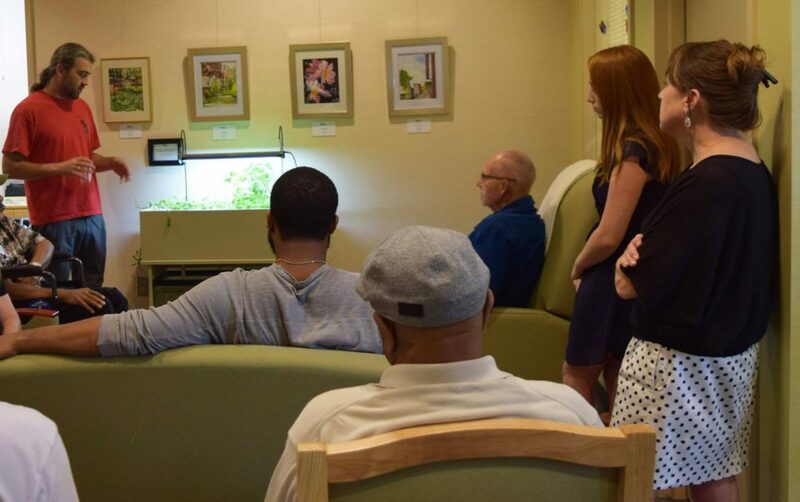 Residents and staff asked many great questions about how an aquaponic system functions, and how aquaponics will fit in our evolving food system. Georgetown student Sarah Harper is constructing an aquaponics system in the Maker Hub space of the university library. 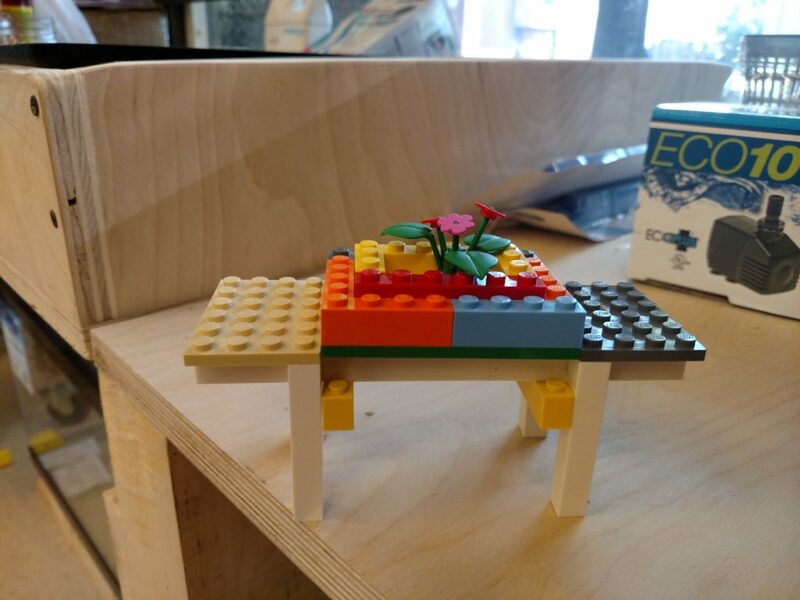 She constructed a model out of Legos, and said that this helped her visualize how the system would work. It will have a 40-gallon fish tank, and cycle water up to a hydroponic grow tray. The tray will be filled with hydroponic media, and net pots to hold individual plants. 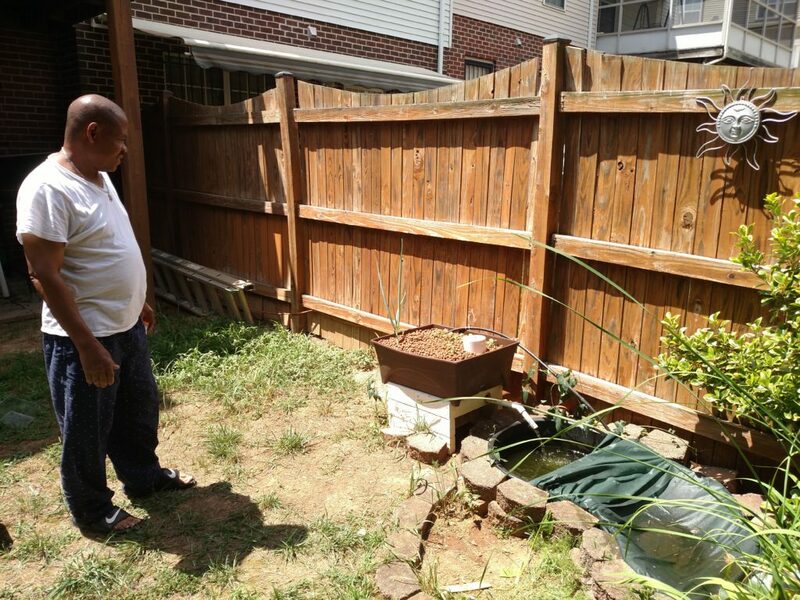 Anacostia Aquaponics helped Sarah with the project as part of our Partnership Program. We’ll check back in once they have fish and plants growing. The Knight has a 50 gallon inground pond currently with about 15 small goldfish, and one medium size (5-inch) comet goldfish. We covered the pond with weed cloth to prevent excessive algae growth. Water is pumped up to a 10 gallon grow-bed filled with hydroton clay-media. A bell-siphon returns the water to the pond. Right now Carrol and his wife Janet are growing green onions and some bok choy. We’ll have to get some more fish weight to really ramp up the growth! 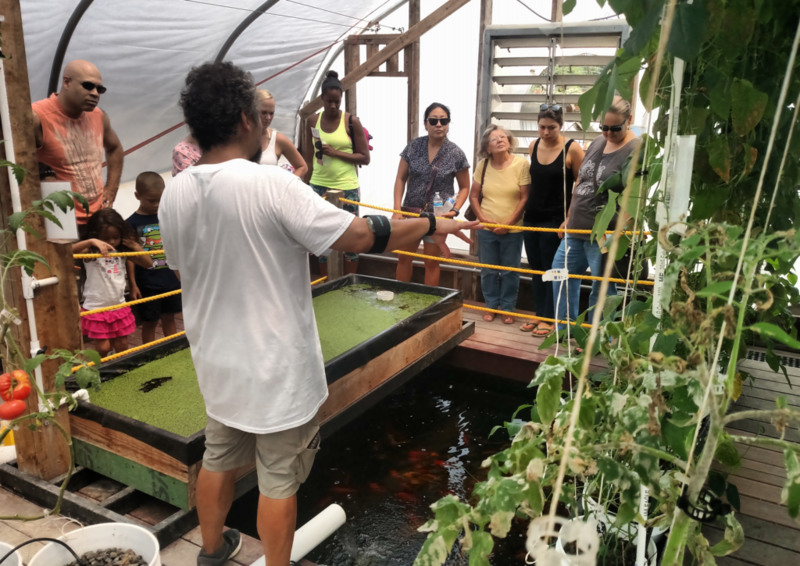 This past Saturday, July 22, Global Aquaponic Systems in Silver Spring, MD held an open house with tours from 12 to 5pm. On the left we see a trough with some yummy duckweed… a great nutrition supplement for fish. Global Aquaponic has many beautiful, large striped koi driving their plant growth. The greenhouse is large, and grows produce for local sales. Read more at their website, or set up a tour of your own!